Afonso is passionate about riding waves and feeling the stoke. Having worked as a surf instructor for six years, he has witnessed first-hand the impacts that a growing surf tourism industry can cause at the local level. 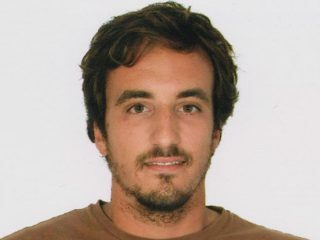 Wishing to better understand the phenomenon, Afonso embarked on a Master’s in Sustainable Tourism Management and carried out a study on the sustainable development of surfing tourism in Peniche, Portugal. The study was performed in partnership between the Polytechnic Institute of Leiria and the Center for Surf Research, with the participation of STOKE’s co-founder Dr. Jess Ponting, and will result in an extensive report for the local Municipality. Afonso is an advocate for community-centered forms of development of tourism destinations. He believes that tourism, if properly managed, can have limited environmental impacts, while developing and empowering host communities. Thus, it is his mission to help destinations and operators find sustainable ways to manage and develop local tourism.